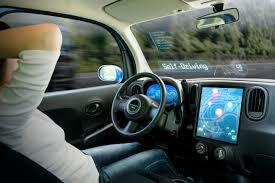 Driverless cars: On Spain’s roads in two years? Along with his sub-director general for operations and mobility, Jaime Moreno, Serrano gave a presentation on self-driving vehicles and the possibility of ‘scrapping legal barriers’ to their use in Spain. “We’re at a very historic time right now in terms of self-driving vehicles giving hope that the human factor, which is the cause of 90% of traffic accidents, will be eliminated – but at the same time, the concept of this type of vehicle is still fraught with uncertainty,” Serrano explained, referring to a recent fatality in the USA in which a pedestrian was knocked down by a driverless Über car. Moreno predicts self-driving vehicles will be on the mainstream market within two years – or, at least, vehicles which are ‘super-automatic’, requiring little human intervention, which would be ‘the immediate rung before driverless cars are introduced’. “We’re not going to force anyone to use them, but I believe demand will exist and be high,” Moreno forecasts. “Driverless vehicles are safter, because they are equipped with a multitude of sensors which don’t get tired or distracted, unlike the human senses, such as eyesight. Once they become mainstream, their legal use in Spain is unlikely to be a complex process, since national traffic laws do not expressly forbid them – already, this loophole has allowed cars that park themselves to be employed in the country. Moreno sees a future in which cars gradually become less and less dependent upon their drivers and are more likely to be shared, with taxi services eventually turning into the main form of personal transport, especially in large towns and cities. “The technology is already there, but the key is making sure that the vehicles themselves do not cause accidents – they’re not perfect and accidents will still happen, but we want to ensure they’re not caused by the cars – and in keeping costs down,” Moreno concludes.